Apparently, I am becoming a dinosaur. So is the other doctor in my practice. And we have ‘earned’ the disdain of some Ivory Tower, academic doctors, by continuing to practice primary care medicine in the way we have done for the last 2 decades. We actually spend time talking to our patients, getting to know who they are as people, as members of the community and as fellow humans. I almost cried after reading a New York Times article from April 22, entitle ‘Family Physician Can’t Give Away Solo Practice’. 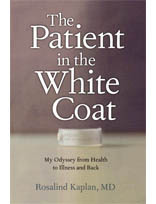 It chronicles the travails of Dr. Ronald Sroka, a Family Practice physician in Maryland, who has provided care to the people of his community for the last 32 years. He knows many of the details of his patient’s lives, as well as every detail of their medical histories. He writes in paper charts and calls his patients back himself when they leave messages that they are sick or have questions, even if it is after hours or on a weekend. He rounds on his sick patients in the hospital himself. But the kind of care he offers is rapidly bing replaced by large practices in which patients rarely see the same doctor on consecutive visits, and for which hospital care is provided by ‘hospitalists’- doctors who specialize in inpatient medicine and staff the hospital in shifts 24/7. Now, as he is thinking of retiring, he can’t find anyone to take over his practice. He can’t sell it. In fact, he can’t give it away. It’s not the kind of practice younger doctors are looking for, and it’s not where the social, political and financial forces are leading medicine. Okay, I am not quite a Dr. Sroka. I am not in solo practice; I do have a partner. We are not in Family Practice; we are internists, so we don’t do pediatrics or obstetrics. We do general medical care of adolescents and adults. Under duress, because it became impossible to keep up with the fast-paced care in the hospital while seeing patients in our office all day, we have been referring our hospitalized patients to hospitalists for the last 18 months. We are aware that our paper charts are going to have to be replaced by Electronic Medical Records soon, very soon. In order to finance the technology and staff that will be required to run the practice of the future, we will also have to move faster, see more patients in a day, maybe talk with them a little less. We, and our patients, are entering this transformation kicking and screaming. While data shows that larger practices may provide a more uniform level of preventive services and fewer unnecessary tests, we still believe that the emotional rapport we have with our patients, and the fact that they can depend on us to be there for them on a continuing basis, is profoundly healing. We ourselves have had the experience of having our medical histories taken by a doctor who is sitting behind a computer screen, attempting, with frustration, to listen while also filling in the template in his or her electronic medical record, and found it an impersonal, maybe even slightly degrading experience. Our patients often complain that the hospitalist doctors who round on them when they are inpatients know nothing about them and don’t communicate with them. Yet there is no place to hide. Changes in Medicare and other insurance, along with other political and professional forces are going to pull us into the ‘modern’ way of practicing or we will not survive as physicians. “Those of us who think about medial errors and cost have no nostalgia- in fact we have outright disdain- for the single practitioner like Marcus Welby,” the NYT article quotes Dr. David Rothman, president of the Institute on Medicine as a Profession at Columbia University, as saying. Wow. That’s harsh. Not all of us out here in the community providing care in smaller, more intimate settings, who know our patients well, are making medical errors and ordering unnecessary tests. In fact, at least some of us are maintaining our board certification through rigorous recertification processes, reading pertinent medical literature, using technology to find the most up-to-date information, and earning more than the required continuing medical education credits. On top of that, we DO know our patients well, and consequently we can communicate effectively with them to prevent unnecessary tests and procedures. We actually take thorough histories and examine our patients. If you want to know about patient satisfaction, patients in more impersonal settings who don’t feel their doctor knows and understands them are likely to tell you they are less satisfied with the quality of care. Healing doesn’t happen only on a cellular or anatomical level. Patients clearly have nostalgia for the ‘hometown’ private practice doctor. They want to be known, to be seen, as well as to be diagnosed and treated. Ultimately, I have no answers. I hope that I, personally, can find a way to be a doctor in the 21st century, using electronic health records and giving my patients the benefits of cost-effective, evidence-based medicine, while continuing to feel that medicine is my calling, not just my job, and that patients are more than just bodies with broken parts. If that makes me a dinosaur, then so be it. With whatever respect is due to Dr. Rothman, those of us who are patients think about cost and errors… How many unnecessary tests are done because patients won’t cone clean with their doctors about sone of their bad habits or intimate information? How many could be avoided if patients had the kind of relationship with their doctors that your patients have with you BECAUSE of the way you practice, Dr. Kaplan? We need more “dinosaurs” like you!